15+ users: Please call +61 8 6263 9100 or or fill out the form. A representative will be in touch to discuss the best option for you and your organisation. Request a subscription for more than 15 users for your organisation. Please call +61 8 6263 9100 or fill out the form below and a representative will be in touch to discuss the best option for you and your organization. Individual subscriptions may be available for private investors and sole traders. Please call +61 8 6263 9100 or email us to discuss your options. All the benefits of EnergyNewsBulletin.net package, plus unlimited access to MiningNews.net. EnergyNewsBulletin.net is Asia Paciﬁc's most comprehensive source of breaking news in oil and gas production, digitalisation, and the future of energy. 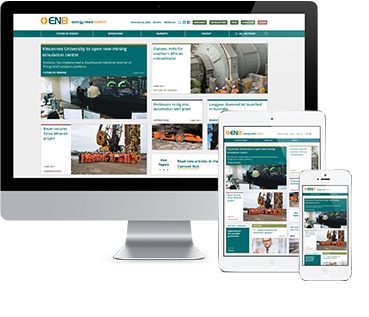 Your ENB subscription is a powerful business resource ensuring unparalleled insights into the latest happenings transforming the oil, gas, and energy sectors. For enquiries regarding your current or future Energy News Bulletin subscription, please contact us via +61 8 6263 9100 or subscriptions@aspermont.com. * All displayed prices are in Australian dollars (AUD) and exclude GST. Request a multi-user subscription for more than 15 users for your organisation.